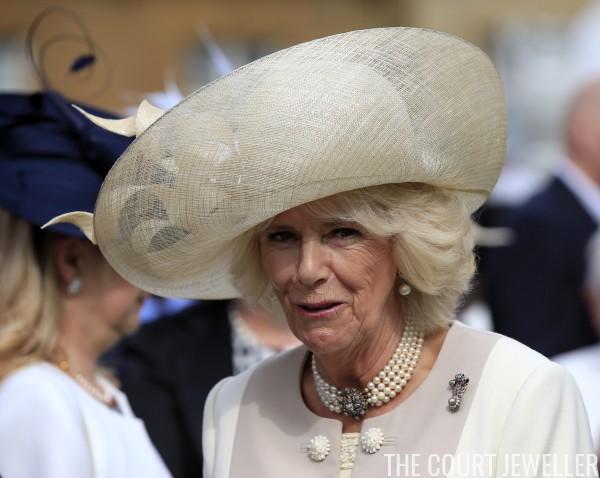 At Thursday's garden party at Buckingham Palace, the Duchess of Cornwall wore a small brooch with a big symbolic impact. 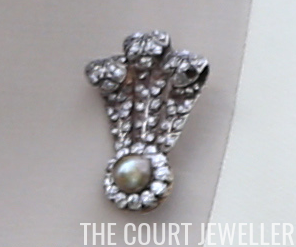 The brooch features diamond Prince of Wales feathers gathered by a single gray pearl, which is ringed with diamonds. The pearl cluster stands in place of the usual gold coronet that gathers the three ostrich feathers on the traditional heraldic badge of the Prince of Wales. 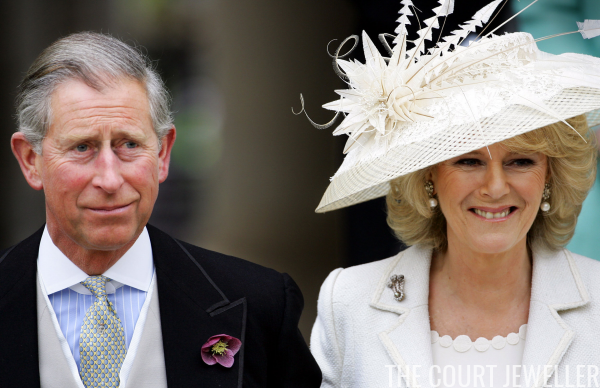 Camilla has had the brooch since the '90s, but her most significant appearance in the jewel was surely at her civil wedding ceremony in 2005 -- the day she became Princess of Wales in all but name.